It is hard to know where to begin in discussing On Happiness Road, the debut animated feature from Taiwanese director Sung Hsin-yin. This is a film so ambitious in scope, so filled with ideas, events, emotions and multi-threaded storytelling, that finding one thread to pick out and pull in introduction is laughable. Like the film, which plunges viewers straight into the narrative with a bravura burst of colour and instantly immersive, inventive animation, we just have to dive straight in. You’ll catch up. Chi (voiced by Gwen Lun-mei) has returned home to Taipei after years living abroad in the US. 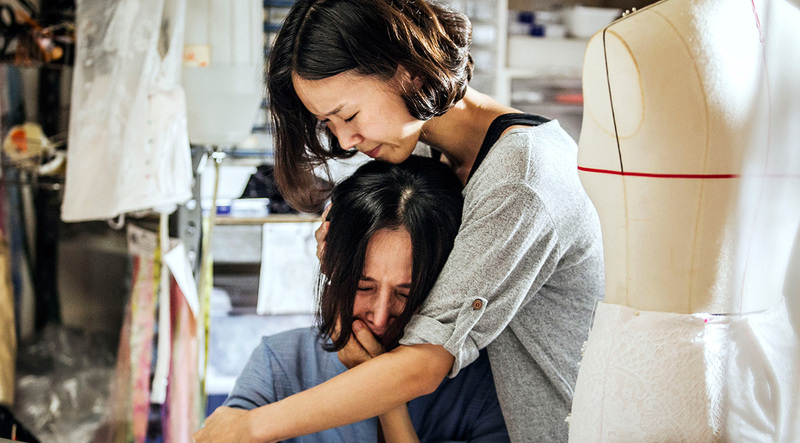 Her marriage to her American husband hanging by the most precarious of filament, Chi has come back to Taiwan to say goodbye to her beloved grandmother, who has recently passed away. 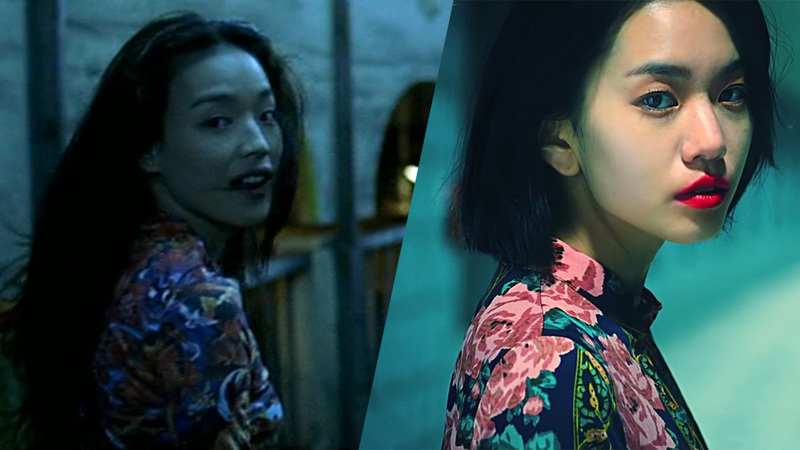 Confronted with the physical locations of her childhood and teenage years, Chi begins to recollect the events of her life that led her to her present situation, a life that is faded with disappointment compared to what her younger self had dreamed. Chi’s relationship with her family is complicated. Born on the same day that Taiwanese dictator Chiang Kai-shek died, from birth she is told that she is destined to do great things. Her grandmother is a member of Taiwan’s indigenous peoples, and Chi is often embarrassed by her old fashioned ways that conflict with the national sentiment of striving towards a fresh new future. But Chi’s youthful idealism has been curdled by a life of increasing disappointments, and the sense that although she has achieved much of what she once dreamed about, those dreams took her away from truly understanding herself and where she comes from. Most poignant is Chi’s relationship with her parents, whose wishes for their only child frequently clash with Chi’s own desires; her childlessness as an adult becoming a particularly fraught ground for conflict. A swelling emotional undercurrent in the film is the distance that grows between a child who has moved away and become part of a foreign world, while the parents stay behind; neither parent nor child truly understands the experiences of the other anymore, and that emotional gulf is particularly hard for Chi and her mother to surmount. Getting a feature length Taiwanese animation that deals specifically with the Taiwanese experience off the ground and into cinemas is a gargantuan feat, let alone one with a female protagonist and director. 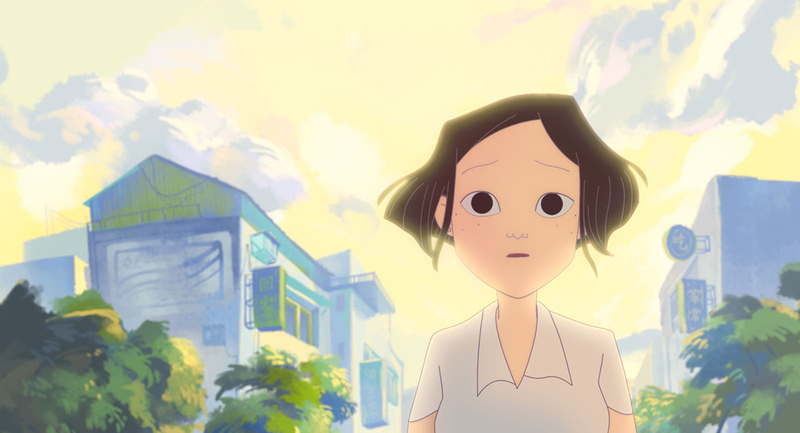 A passion project from director Sung, who drew on her own experiences in weaving Chi’s story, the film displays the incredible talents of the nation’s animation industry, which before the boom in CGI animation was one of the great centres of hand-drawn animation in the world — Taiwan was where many animation companies in the West and Japan outsourced its animated work. Now with the dominance of computer-generated animation, the talents behind this film represent the last vestiges of a once-vibrant industry, echoing the swirling, relentless change constantly depicted throughout the film. On Happiness Road is not only a triumph in taking a medium that Taiwanese talent has excelled in, and making a resolutely unambiguous film that minutely reflects the Taiwanese experience. 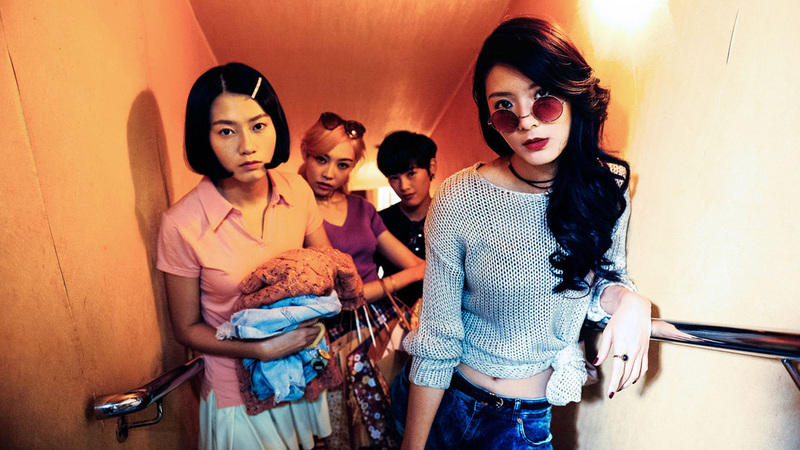 It’s a triumph in that it so finely details an explicitly female Taiwanese experience. While I am not ordinarily a fan of comparing films to others in order to box them into a referential rubric, comparisons with Isao Takahata’s Only Yesterday are apt in the case of On Happiness Road. Both films are concerned with the nostalgia of an older woman looking back upon their childhood and teenage years, and teasing out what was important about the foundational experiences that influenced where they now find themselves in life. 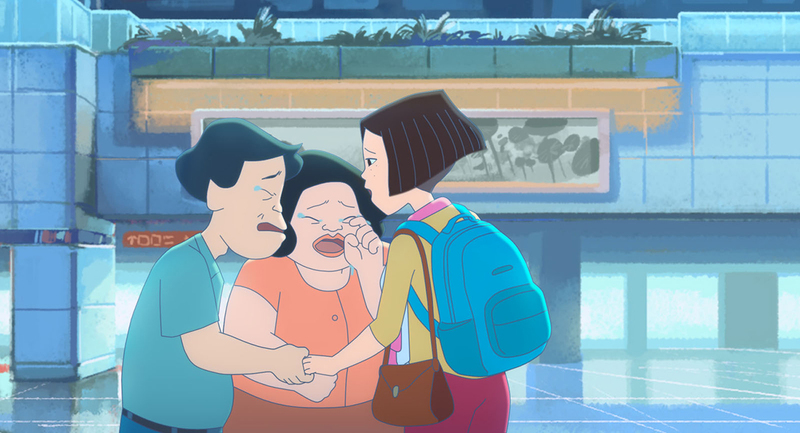 While Takahata’s film certainly has a bittersweet sting to it, director Sung’s film has a much more heightened sense of disappointment and loss. Female disappointment and unfulfilled longing is so rarely seen on film in a way that is this stark, and so open-ended. This is a clear-eyed film in that although it deals with nostalgia, it is pointedly devoid of sentimentality for the sake of it, with director Sung bringing her previous experience as a journalist to the fore in how the narrative portrays the events of contemporary Taiwanese history. That the film covers so much within a two hour timeframe may be the one stumbling block for non-Taiwanese audiences in embracing the film. There is a LOT of history and cultural specificity covered in On Happiness Road that those with only cursory knowledge of Taiwan may struggle with keeping up with the deluge of references. It may, however, also open a door in prompting non-Taiwanese audience members to become curious about this history, and plunge into further research themselves. On Happiness Road is expansive, ambitious, overwhelming, confusing and beautiful. It resolutely puts forward a woman’s singular experience as being on an equal footing with the countless historical events, milestones and tragedies that she was witness to. It creates a hand-drawn animated world that is achingly inventive and absorbing, truly unique and unlike any other contemporary animation, showcasing the astonishing talents of an industry that may be on its very death bed. It is a strong vision with a clear authorial voice, and is astoundingly assured for a debut feature, by a woman director no less. It is far and away my favourite film of 2018 so far.